Okay, so I admit. 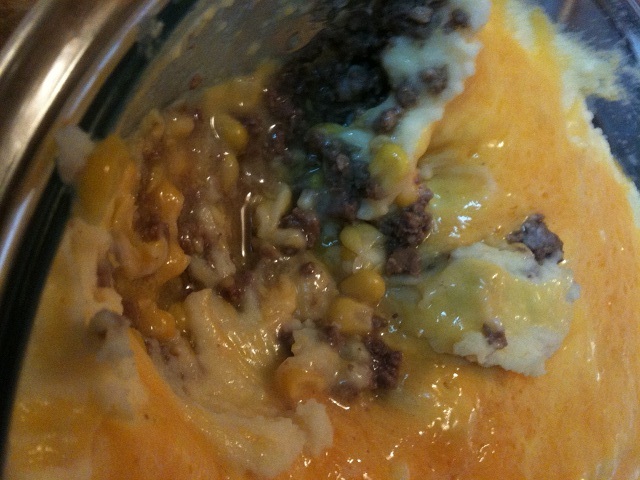 Shepherd’s pie may not look like the most appetizing dish ever, but it is oh so good. And it’s simple. 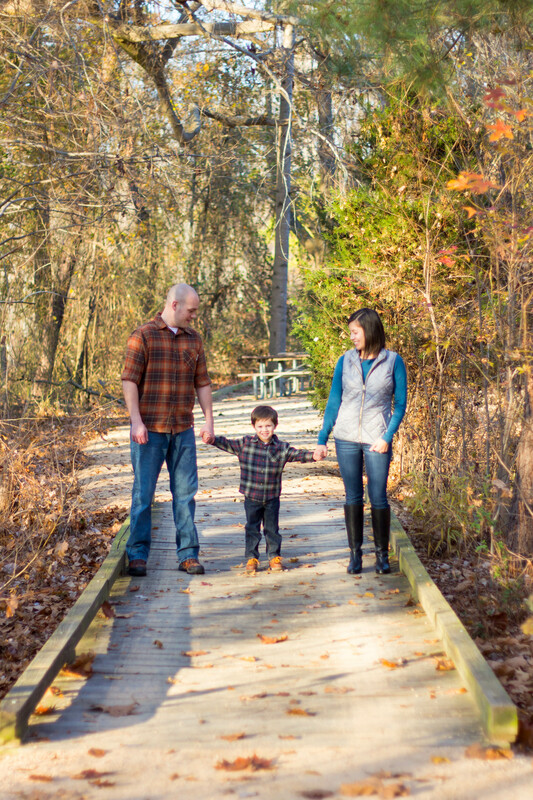 I like that – simple. It’s four ingredients. Yup, I said four. One, two, three, four. And guess what? You probably already have all four ingredients ready and waiting in your kitchen. 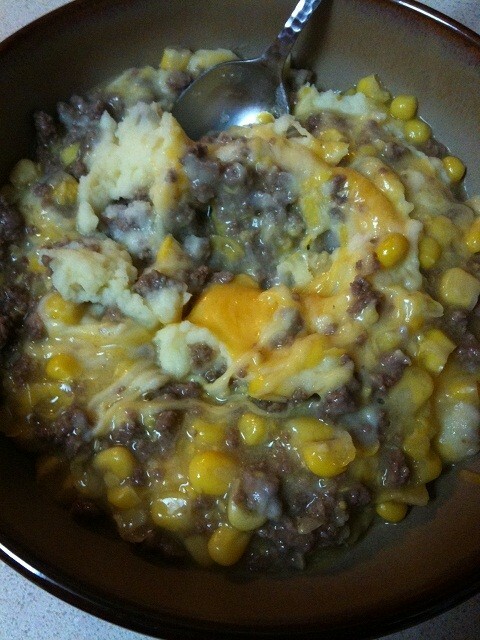 Just a warning though, this meal is so good and comforting that you WILL want to take a nap after. 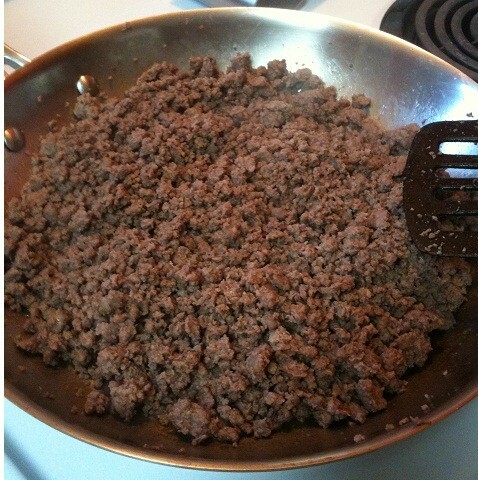 Brown your ground (enter your meat of choice here) in a skillet. 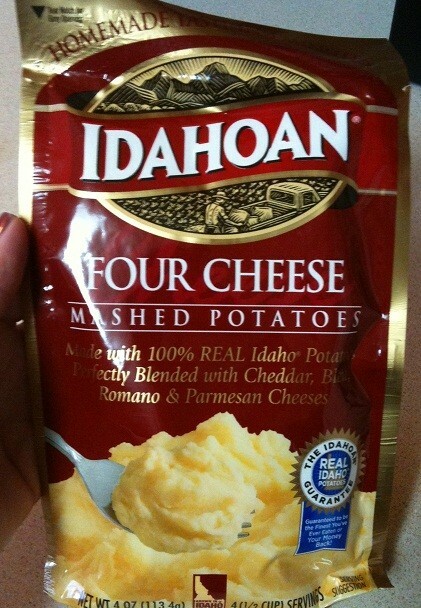 Microwave your instant potatoes as directed. I got these at Walmart for $.98 and they’re seriously DELICIOUS! 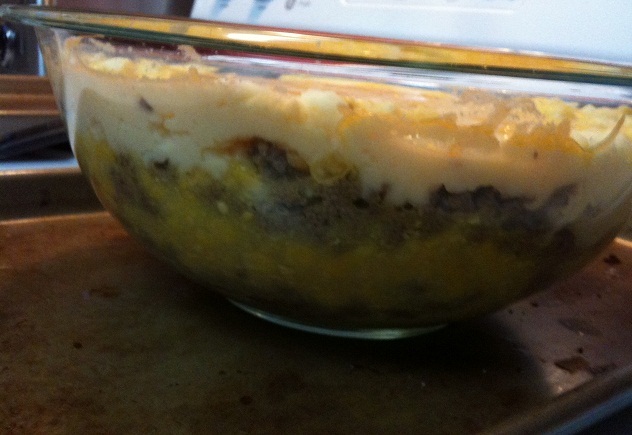 Then take out an oven safe bowl and layer your ground meat and creamed corn. 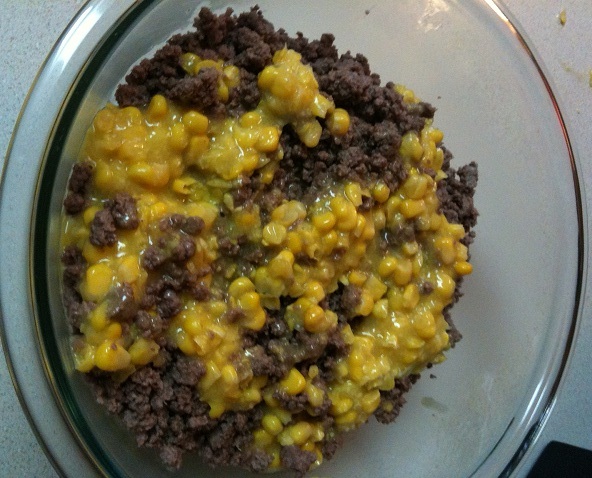 Technically you could just dump the ground meat on the bottom and then dump the creamed corn on top of that, but I wanted to feel special and layer my ingredients. It made me feel a little fancy. 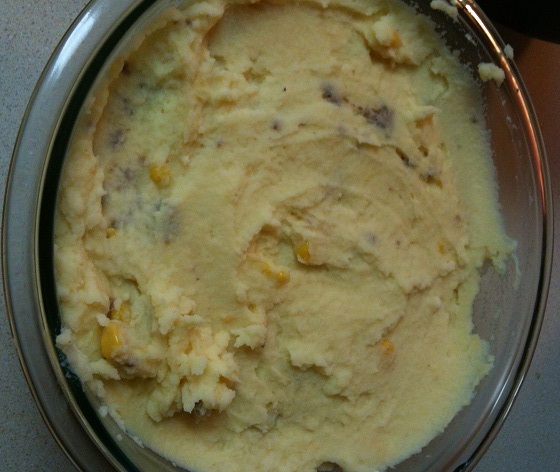 After you’ve put in all of your ground meat and creamed corn, you are going to top it with the mashed potatoes. 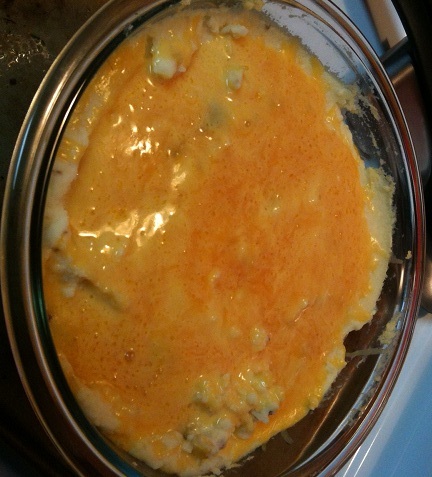 Then sprinkle some cheese on top. Cheese is one of those ingredients that I never actually measure. It’s just a “however much you feel like putting on” measurement in this household. 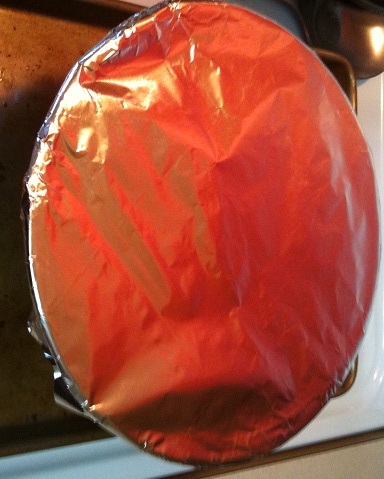 Cover the oven safe bowl with foil. 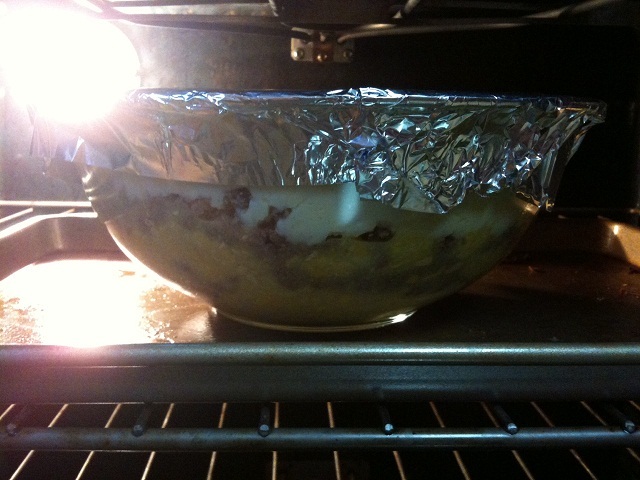 (I like to put my oven safe bowl on top of a cookie sheet before I put it into the oven.) 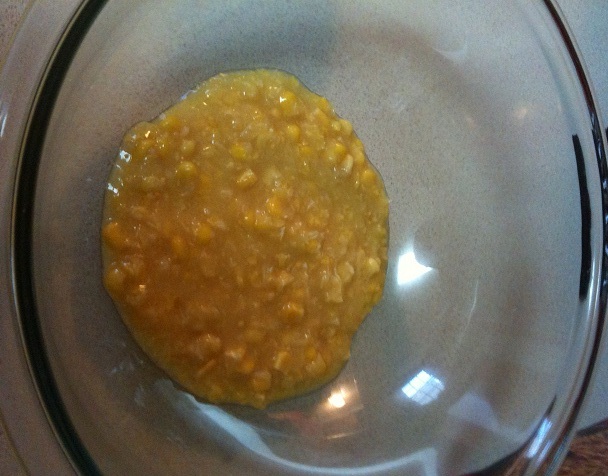 Then pop your mixture into your preheated oven for about thirty minutes. 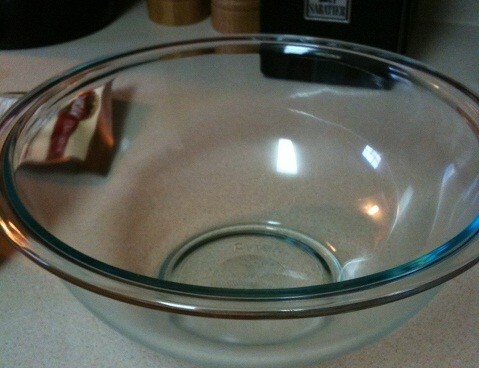 This is a good time to get your dishes cleaned up so you don’t have as much to do later. 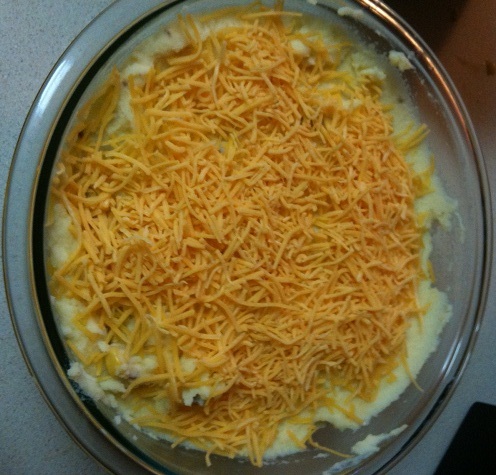 When the timer is up you should have this cheese-y goodness. 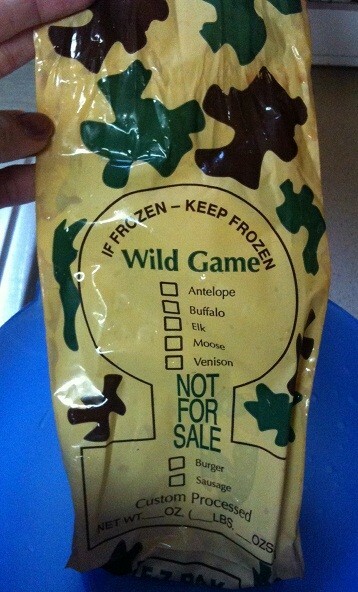 This is best when served hot! Mix it up and ta-da! Deliciousness. 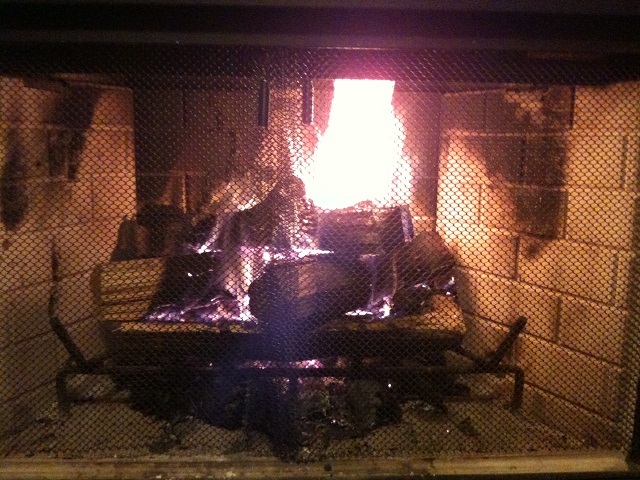 This is GREAT for cold nights.